Single Ticket On Sale Now! Join CMS for the 2016-17 season! Single tickets on sale now. 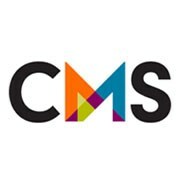 CMS Launches new logo for the start of the 2016-17 season! Single Tickets for the 2016-17 Season On Sale Now! CMS presents Summer Evenings, three sublime evenings of chamber music classics. Subscribe now to the 2015-16 season.